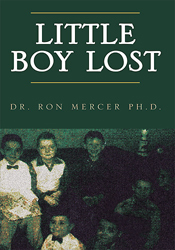 The writing of "Little Boy Lost" was truly an adventure into the land of childhood memories from the author's own life, as well as reflections about various male confidants during his personal life journey. Examining the nature of male mid-life transition from a developmentally based foundation prove to be no less than emotionally rewarding. The family of origin influences are paramount in our developing personality and lay down a foundation for certain people who we select as adult mates, friends, and otherwise. The strongest and most troubling component of this work was allowing the author's vulnerability, fears, and apprehension to surface long enough to come alive on the written page. One of the most significant experiences of the male adult life span is his choice of significant other. This relationship was explored thoroughly, candidly and emotionally within "Little Boy Lost," from sexual fears to sensory pleasure and all the emotions and values in between. Equally as important - the achievement ethic and its impact on male self-worth. "Little Boy Lost" displays a man who is driven to success but simultaneously wonders about the other road he could travel. The book examined what happens when ultimately those two roads cross and the decisions and subsequent emotions which result. Call our office to buy a copy OR buy online! "The Unspoken Language of Men"
Men are often stereotyped, misunderstood, judged, and as a result inappropriately generalized into specific projected categories which oftentimes have nothing to do with their authentic self. As a result, from the time the little boy comes into our world, he is greeted by an array of expectations, obligations, social roles, etc., which also oftentimes knock him off the track of who he actually is and what path he truly wants to take in life. Because men, as little boys, throughout the ages have been raised to perform and to essentially not express or verbalize emotion or feelings, their thoughts have gone unheard. Thus the evolution of "Unspoken Language," a story if you will (with specific academic descriptions) of the social, psychological, as well as anthropological history of male behavior, personality and expression of emotion. The essence of the book is based on the Jungian archetype theory of how men are governed by ancient predispositions toward behavior and subsequently how it impacts their lives and interpersonal relationships. 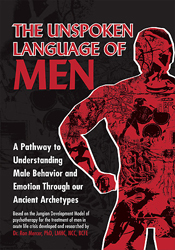 It is my hope the"Unspoken Language" will open up a new paradigm of both understanding why men behave as they do, as well as encourage men to explore ways to discover their own hidden language, and to enhance their well-being and that of individuals who they journey through this life with. "9/11: Critical Incident" is about five days, five very special and life-changing days in the life of a Critical Incident Psychologist, brought to New York City several days after the 9/11 attack. It is a true story written in the first person describing not just what the counseling process entailed, but also a reflection of the multitude of emotions felt by the therapist in the wake of this tragic event. It was originally intended by Dr. Mercer to share his experience so that other clinicians in the future could possibly gain some insight as to their own critical incident work. Little did he realize, that what he was about to embark on was nothing, no matter how hard he tried to imagine, that his training had prepared him for. This is his story. A story about the victims of 9/11, their sorrow and pain, and what one therapist tried to do to ease their pain, as he simultaneously dealt with his own feelings of sadness and concern for what has indeed become a major loss for all Americans, and an event that will continue to have significant reverberations for years to come. 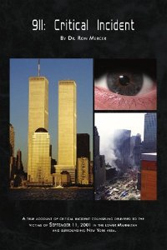 "911" gives the reader an inside look at a mental health professional and his personal experience as he journeys into the emotional chaos following the Twin Towers tragedy.